From the #1 New York Times bestselling author duo of The Royals and When It's Real. Beth's life hasn't been the same since her sister died. Trapped at home by her over-bearing parents Beth needs to get out. So when she sneaks out to a party and meets the boy everyone's been talking about she's shocked by their instant connection, and the part he played in her sister's death. Beth has a choice to make - follow the rules, or risk ruining what she cares about most. 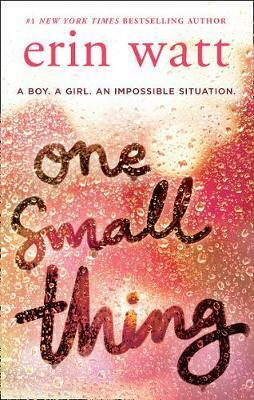 Readers adore Erin Watt's One Small Thing!